The Discrete Element Method (DEM) has emerged as a solution to predicting load capacities of masonry structures. As one of many numerical methods and computational solutions being applied to evaluate masonry structures, further research on DEM tools and methodologies is essential for further advancement. 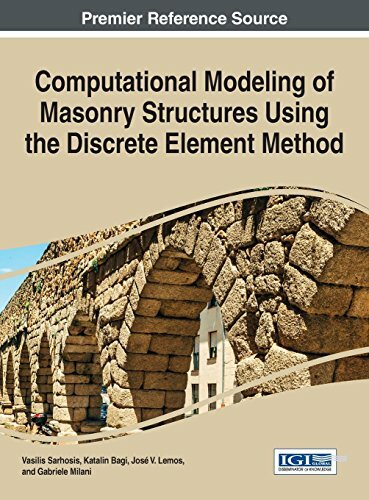 Computational Modeling of Masonry Structures Using the Discrete Element Method explores the latest digital solutions for the analysis and modeling of brick, stone, concrete, granite, limestone, and glass block structures. Focusing on critical research on mathematical and computational methods for masonry analysis, this publication is a pivotal reference source for scholars, engineers, consultants, and graduate-level engineering students. About: The Discrete Element Method (DEM) has emerged as a solution to predicting load capacities of masonry structures.